I gave this Disappearing 9-Patch the name “Orange is the Ultimate Favorite Color” as that is what my nephew is fond of saying. 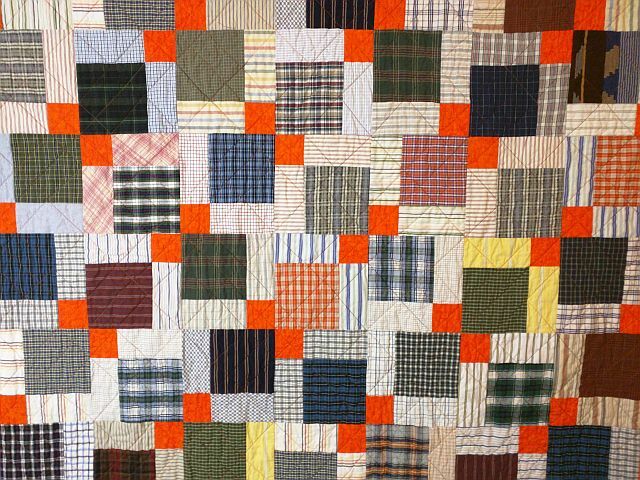 When asked, he says “I have 2 favorite colors, red and yellow, which make orange, which is my ultimate favorite color.” The quilting is simple – diagonal lines. 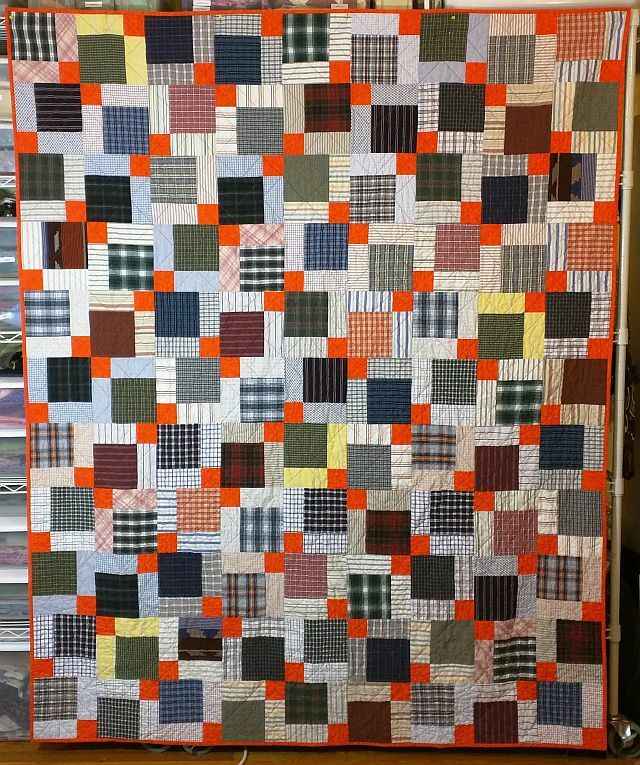 This quilt is on my list for the 3rd Quarter Finish Along. I’m sending it to Aunt Marti for the UFO Parade. It’s also being sent in for the 2015 UFO Busting over at Field Trips in Fiber. It is one of the original quilts on my Crazy Challenge II which started August 15th. Nicely done Pam. Altho I haven’t mad this pattern yet, I like the secondary pattern it makes. I like how the dark big squares and the orange ones meet and then twist back and forth, one horizontal, one vertical and then they switch. My eye’s follow the pattern. D9P is on my list to make some day, so simple, but intriguing. Your nephew is very clever, and this quilt is great. Nice work!